Throughout our lives, we all have built a fort or two or twenty. 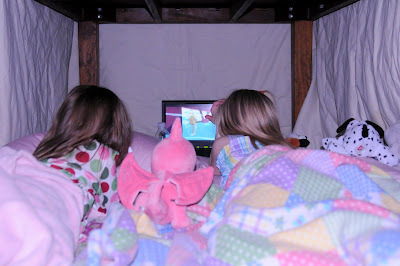 Our girls LOVE building forts. They have learned though, that the quickest way to build a fort is by putting blankets over the kitchen table. Plus, they know that Dad will set them up with a movie whenever they want. They wanted to sleep in their fort, but decided the kitchen floor might not be the most comfortable for the whole night.